God brought the Kamanda and the Law families together and created programs that are changing lives in Sierra Leone. Together they have built a clinic, a school, and a UMC church in a predominantly Muslim area. 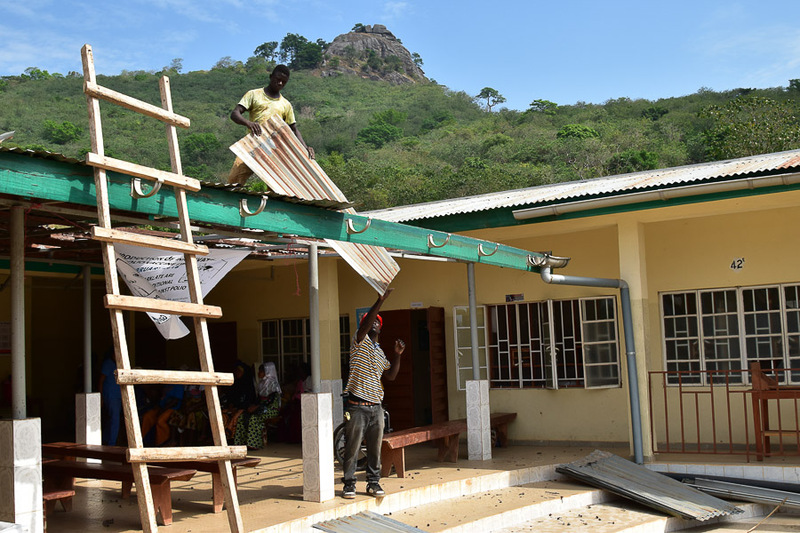 These grassroots, community-based initiatives have helped transform parts of the Koinadugu District, one of the poorest districts in one of the least developed countries in the world. Below are the highlights of how it all began. Dorcas’s father, Pa Abu Bockarie Kargbo, better known as Pa Farandugu, returned from war after earning one of the highest awards (RSM) given to Africans in that war. But because he could not read or write, he was denied employment. He knew his children could face the same problem if they were not educated, and after convincing his villagers that education was important, they agreed but felt only sons should be sent to school. Pa Farandugu felt so strongly about his daughters needing an education, that he left his village and went to other parts in Sierra Leone, and though a Muslim, enrolled his children in Christian School. Dorcas, named Kumba at birth, went to Njaima Nimikoro Evangelical United Brethren Church Primary School, Kono. She learned about Jesus Christ. Got baptized changed her name from Kumba to Dorcas. Passed the public exam and entered Harford Secondary School for Girls in 1963. Dorcas is enrolled in the academic stream at Harford School. She begins seeking God’s will for her life kneeling in prayer in the school chapel at odd hours. She strongly desires God to use her as His instrument. While in her second year at Harford School of Girls, Dorcas, together with her mother went to Paramount Chief (PC) Balansama Marah and boldly asked for a piece of land to build a clinic in the future? It was granted. Newlyweds Hope and Les Law head to Sierra Leone to fulfill a three-year commitment to teach at Harford School for Girls in Moyamba. They meet a student named Dorcas Kargbo. Their three-year term has ended, and Hope and Les want to keep a connection with Sierra Leone as they have fallen in love with the country and the people. They ask Dorcas to join them in the United States so she can get a college education and fulfill her vision of building a clinic in her home country, in her mother’s honor. Dorcas lives in the U.S with Hope and Les while attaining a degree in Nursing. A family is formed with a large extensive family in Sierra Leone. Dorcas meets and marries Dan Kamanda, a Sierra Leonean at the University of Illinois. The Kamandas return to Sierra Leone in 1975 and their first child is born in 1976, a daughter whom they name Hopenet, Sarah, Margoe Kamanda, in honor of Mrs. Hope Law and her mother Jeanette, Dorcas’s mother, Sarah and Daniel’s mother Marjoe, in keeping with the tradition of honoring their mothers. The Kamandas have their second child, Ali. 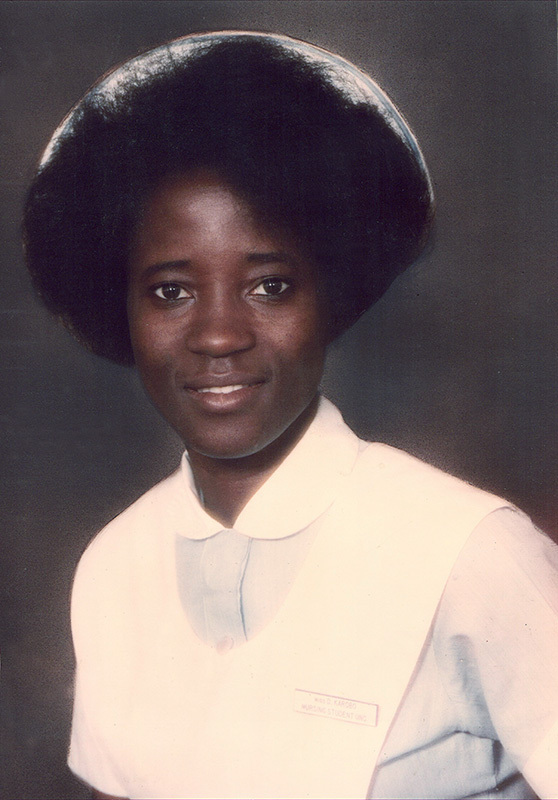 Dorcas and her family live in Sierra Leone with Dorcas working as a Nurse, then with Catholic Relief Services. 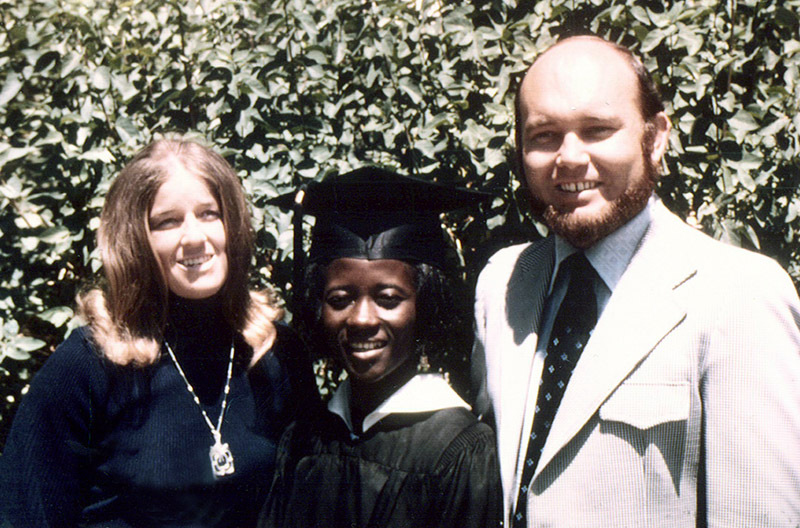 In 1980 Dorcas has a chance for further education in Canada. Her children, Hopenet and Ali, stay with Hope and Les for a year. During all these years Hope and Les and Dorcas and her family visit each other on alternate years. Dorcas furthers her studies at SIT in Vermont. Rebel wars ravage Sierra Leone. Dorcas’s step-sister is decapitated, her biological mother along with other family members die. 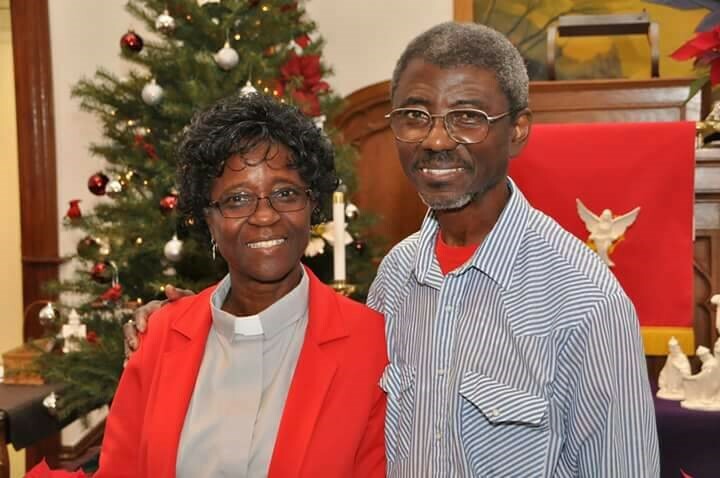 Dorcas’s US family, Mr. & Mrs. Law, together with the Evanston UMC in Colorado, help get Daniel and the children out of Sierra Leone to join Dorcas in the US. Dorcas and children returned to Sierra Leone through the help of Covenant UMC in Greenville, North Carolina. They find massive devastation and no healthcare facility in Kabala. The nearest hospital was 75 miles away in Makeni. A brother and sister had been trained as nurses. One in Primary Health Care, Peacemaker, the other a Maternal Child Health Aid working as a midwife, Theresa. With no health care for over 75 miles, the dream of 1967 came to mind. Peacemaker and Theresa are asked to start seeing patient on volunteer basis. Dorcas and her children return to the US and get over the counter medications to help them as well as send money to help. 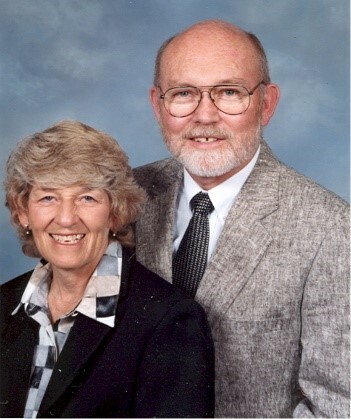 They shared their experience with Mr. and Mrs. Law, their church family at Covenant UMC in North Carolina and several other colleagues. A 501-c organization is created and registered in Colorado by the Laws to help with fund-raising. CITA (Christ is the Answer) is official! Hope and Les began taking work teams to Sierra Leone under Operation Classroom. They started work at the UMC in Makene, repairing school building. In 2005, Daniel and Dorcas returned to Sierra Leone to officially register CITA Int. with the Sierra Leone Govt. Their unfinished house in Freetown became the official office of CITA Int. in Sierra Leone. The NarSarah Clinic is born in a two-room mud block building. It opens with two volunteer health professionals, a brother, Peacemaker, and a sister, Finah, of Dorcas. The first location is in the family home in Kabala. Support comes from family donations in the US. Clinic is moved to a utility building next to the home of the deceased mother. Women Against Poverty (WAP) is formed in conjunction with NarSarah Clinic. WAP builds a separate building that the rapidly-growing NarSarah clinic soon moves to. A major building is started comprised of 9 rooms plus storage areas. The clinic is gaining in popularity. Major funding is provided by family members and U.S. donors. The main clinic building is dedicated. Included are solar panels and batteries to provide power for night operations and the buildings on the compound, and to run equipment during the day. The clinic grows in patient load and gains respect of all. A new government hospital opens and NarSarah is registered as a PHC (Primary Health Care) facility. NarSarah and the Kabala Hospital develop a partnership. The Clinic staff grows and in addition to the original medical staff, it also includes a pharmacist, lab technician, community health officer, and a certified mid wife. Nearly 5,000 patients are seen annually. A guest house is built to house visiting work teams and travelers to provide income to the Clinic. A water purification plant is added to provide clean water to patients. The water becomes so popular that a water bagging machine is added to sell water in Kabala and villages thus providing income to the Clinic. A Scholarship of Hope program is started for children of employees and expanded to children of the War Amputee Camp. Ebola prevention education is provided in small remote villages, and with the help of other community and government organizations, Ebola is kept out of Kabala. Nar Sarah plays a major role in fighting the Ebola crisis. Over $100,000 is raised in the U.S. for Nar Sarah to help fight this deadly disease. These funds help the clinic to expand and ultimately offer more services. New buildings are built including a generator building, an administrative building, a certified incinerator for medical waste, an admissions center, an isolation building for patients with transmittable diseases, and a “solar” toilet facility. A 4-wheel drive Toyota Land Cruiser is provided by U.S. donors along with 5 new motor bikes to help Nar Sarah staff get to villages. “Tippy Taps” (hand washing stations) are provided in Kabala and many smaller villages. After Ebola the Scholarship of Hope program expands to approximately 120 recipients due to poverty expanded by the effects of Ebola. Children must get back in school. SEED and Nar Sarah begin working in close cooperation and coordination with Salone Rising Salone Rising as they develop a job creation program and an orphanage for the children of Ebola victims. 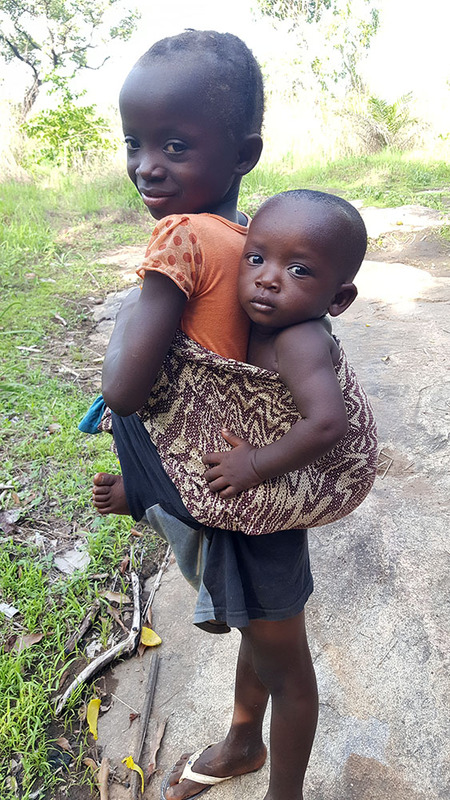 In approximately 2010 it was realized that many programs were being developed that were outside the scope of the health emphasis of Nar Sarah Clinic so a separate nonprofit was established, Serving Sierra Leone to work with those added programs.